The amount of sleep that teenagers are getting has dropped significantly over the past 20 years. This is according to a study published in the journal Pediatrics, which looked at the sleeping habits of adolescents aged 12 to 16. The study also found that lack of sleep puts teens at higher risk for certain health conditions when they become adults, including heart disease. Here, West Orange dentist and sleep specialist Dr. Ivan Stein discusses the findings of the study, as well as what parents can do to ensure their teens get a good night’s rest. The study, which looked at the sleeping habits of 829 adolescents, found that a third of them slept less than seven hours a night and nearly half were fully asleep for less than 85 percent of their sleep time. In addition, researchers found that adolescents who got less sleep were more likely to have a high metabolic risk score, which includes more belly fat, higher blood pressure and abnormal blood lipids (cholesterol). Researchers say that these factors increase the teens’ chances of having heart disease in the future. Participants who slept less also had more insulin resistance, a known risk factor for diabetes. The researchers conclude that these results support the need for further research on the role of sleep quantity and quality in improving heart health among adolescents. For a good night’s rest, it is recommended that children and teenagers get eight to 10 hours of sleep a night. 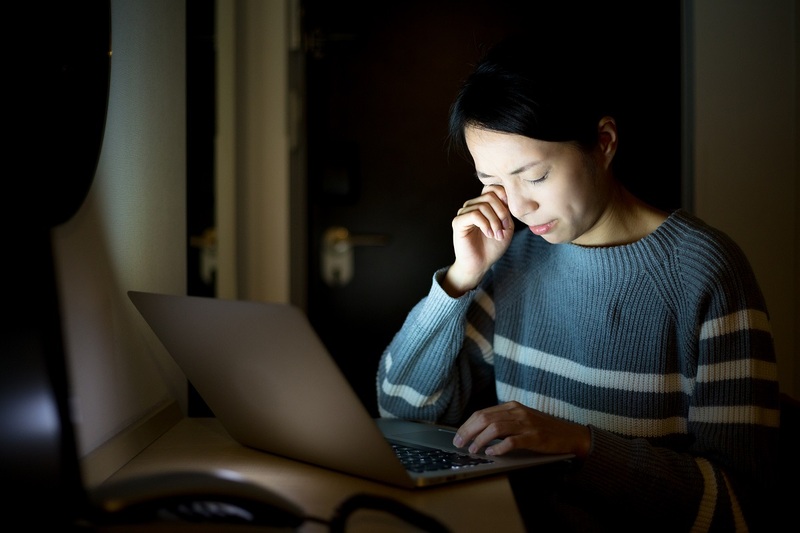 While homework, after-school sports and extracurricular activities can certainly contribute to lack of sleep, experts believe the main culprits are electronic devices. Like adults, teens are spending hours upon hours scrolling through their phone, or using tablets and laptops, including during the hours leading up to sleep. Research shows the blue light emitted from electronic devices stimulates the brain, making it harder to fall asleep. For this reason, consider setting a curfew for electronic device usage. Have your teens turn off their devices an hour before bedtime. The hour before your teen’s bedtime should be spent practicing a pre-sleep routine, such as taking a shower or bath, or light reading (not on an electronic device). Does Your Teen Have a Sleep Disorder? If your teen has good sleeping habits but still struggles to get a good night’s rest, they may suffer from a sleep disorder like sleep apnea. Sleep apnea is treatable once diagnosed by a trained and experienced sleep specialist. To learn more about sleep apnea, including treatment options, please schedule a consultation with Dr. Stein. Call New Jersey Sleep Apnea Solutions at (855) WHY-SNORE or (855) 949-7667 today.